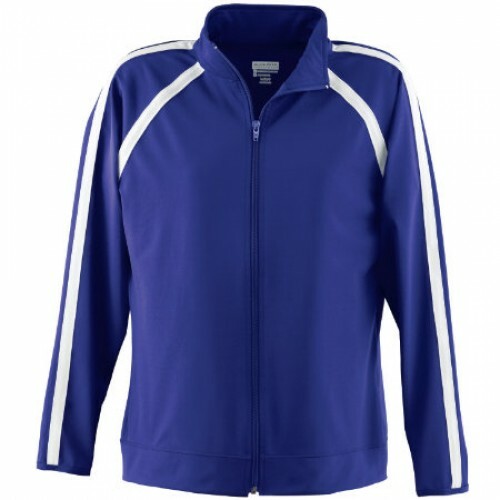 Perfect for cheerleading! 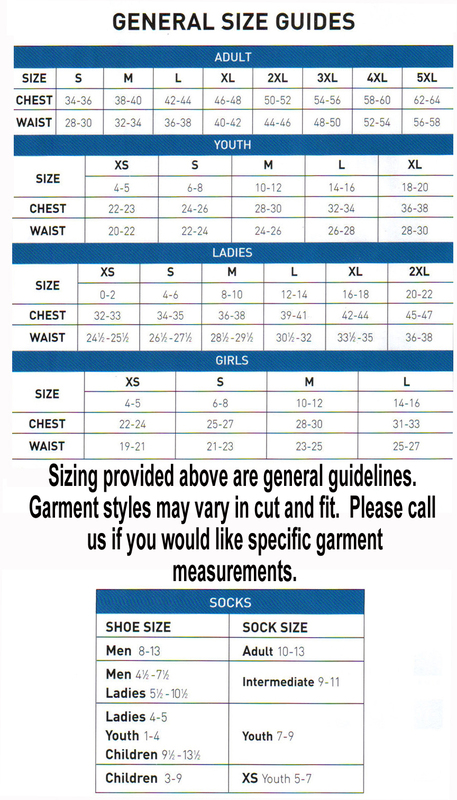 Size chart 90% polyester/10% spandex knit * Odor resistant * Wicks moisture away from the body * Ladies' fit * Heat sealed label * Center front zipper * Raglan sleeves with contrasting accent stripe * Self-fabric binding on cuffs * Machine-washable * Individually polybagged * Also available in Ladies', Style 4700. 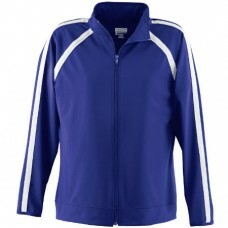 This warmup jacket coordinates with warmup pant syle 728 Ladies and 729 Girls.